PDP Judgment: Judiciary truly independent — party chieftain – Royal Times of Nigeria. Mr Joe Emenaha, a chieftain of People’s Democratic Party (PDP) and former lawmaker, said on Wednesday that the Supreme Court judgment validating the chairmanship of Ahmed Makarfi, was a demonstration of the independence of the judiciary. Emenaha said this in an interview with the News Agency of Nigeria (NAN) in Abuja while reacting to the judgment. He said that the judgment was not only a new dawn for Nigeria’s democracy but also a road-map towards a better and stronger opposition. ‘’The judgment shows that our judiciary, no matter what people say, is not corrupt and very determined to strengthen our democracy. The former lawmaker, who described PDP as the reliable alternative, said that it was time for the party to bounce back to the advantage of Nigerians. 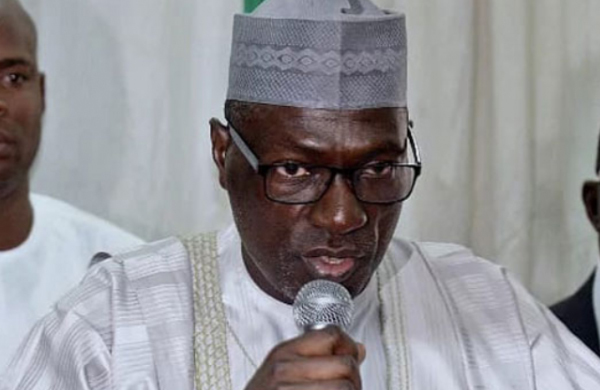 Emenaha expressed confidence in the integrity and capability of Makarfi to lead the party to glory, saying that PDP had resurrected from the gallows. He urged party faithful to rise to the occasion by supporting Makarfi, adding that it was time to close ranks and unite for a formidable party. The lawmaker congratulated Makarfi on his victory, but advised him to embrace all factions for a progressive political party. Justice Bode Rhodes-Vivour of the Supreme Court, validated the PDP National Convention held in Port Harcourt on May 21, 2016. Rhodes-Vivour said that the Sheriff-led National Executive Committee was dissolved at that convention in line with the party’s constitution.